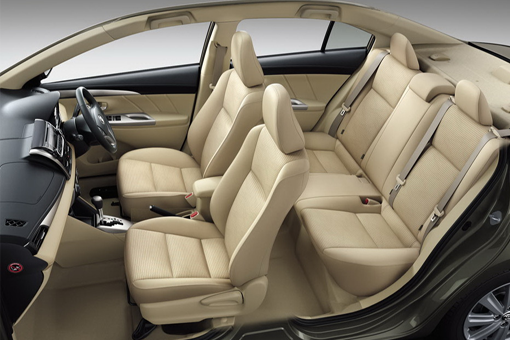 All-New Toyota Vios 2013 comes with looks that really fresh, with design exterior and interior new ones. Design Toyota Vios 2013 looks more stylist and aggressive with a light taper design that blends with grill form a V. All-New Toyota Vios carrying the design language new Toyota as on other Toyota cars such as the Toyota Avalon and Toyota Auris. The back of the All-New Toyota Vios 2013 visible lines chrome plated extending at the sides of the rear lights that is designed dynamic and exudes an aura of sporty. All-New Toyota Vios 2013 engine carrying 1NZ-FE DOHC capacity of 1497cc with VVT-i, capable of producing up to 109 hp at 6.000 RPM and of torque 141 Nm at 4.200 RPM. 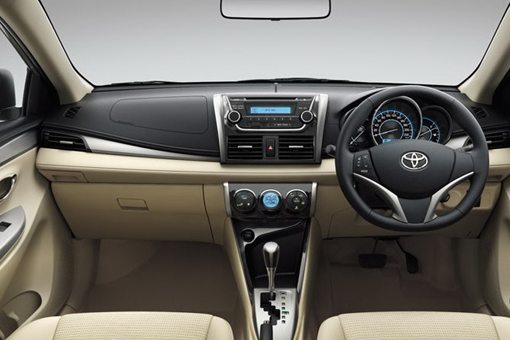 All-New Toyota Vios 2013 is also equipped with EPS power steering which is more fuel efficient. Wheelbase is still the same as the old model, which is 2.550mm. For suspension, All-New Vios uses suspension system MacPerson struts on the front of the dab torsion beam with stabilizer at the rear. 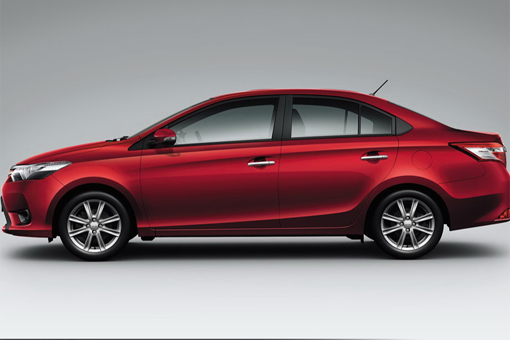 For dimensions All-New Toyota Vios 2013 has a long 4.410mm, width 17.00mm, height 1.475mm. With its high ground clearance of 145mm and a fuel tank capacity of as much as 45 liters. For weight New Vios variants S is 1.075 kg while the variant J is a 1,020 kg. 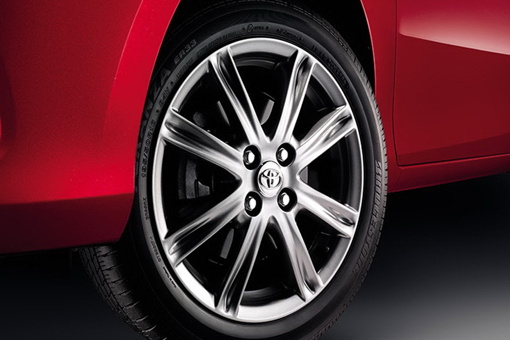 For Toyota Vios variants S using tires 195/50R16 and other variants use tires sized 185/60R15. 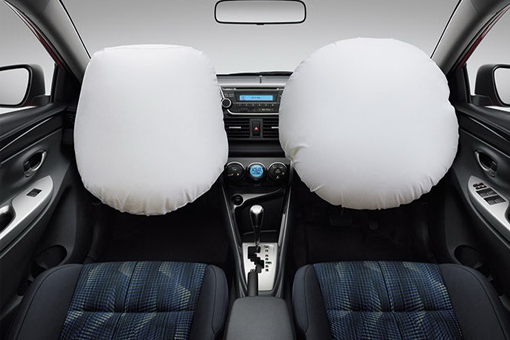 All-New Toyota Vios 2013 is equipped with various security features and safety are reasonably complete and modern. Among other ABS brakes with EBD, 2 airbags for driver and front passenger, ESP Stability Control and technology features the other modern. 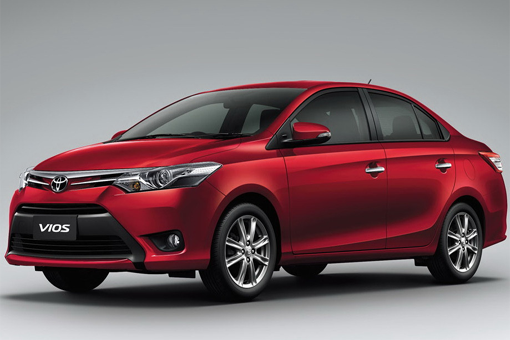 All-New Toyota Vios 2013 In Thailand comes in several variants, namely lowest variance Toyota Vios E and J available within 5-speed manual transmission and a 4-speed automatic. While for the highest variance namely Toyota Vios G and S only available within 4-speed automatic transmission.